If the terrifyingly sharped-toothed and violent antihero Tom Hardy plays in “Venom” wasn’t enough to suggest the film would be insane, the actor told Entertainment Weekly that he drew from ’90s cult cartoon “Ren and Stimpy” when developing the character. During an interview with the publication, Hardy said the duality of the role is what attracted him to the movie. “It’s a bit like Ren and Stimpy, you know?” the British actor told EW. “They have different sounds. I always saw Venom as sounding like a James Brown lounge lizard, and Eddie Brock is kind of … I don’t know, an everyday kind of guy. But he’s inherited this massive ego, this beast. “There’s that biting-off-heads issue, which is not what you would expect from, say, Captain America taking down a crook,” he added. The show, while eventually receiving critical acclaim, was controversial during its run. The Nickelodeon cartoon was chock full of off-color humor, sexual innuendo, dark plot lines, adult jokes and violence. “Ren and Stimpy” followed the adventures of Ren, an unstable, verging on insane, chihuahua, and, Stimpy, a good-natured, dimwitted cat, and it was often painfully disturbing. There’s an episode in which when Ren got so angry he describes in excruciating detail how he wants to gouge out Stimpy’s eye and pull his arms from their sockets. And there was the time Ren pulled nerve endings out of his gums where teeth used to be. It’s pretty likely that that insanity is what Hardy applied to the Venom side of the psyche. 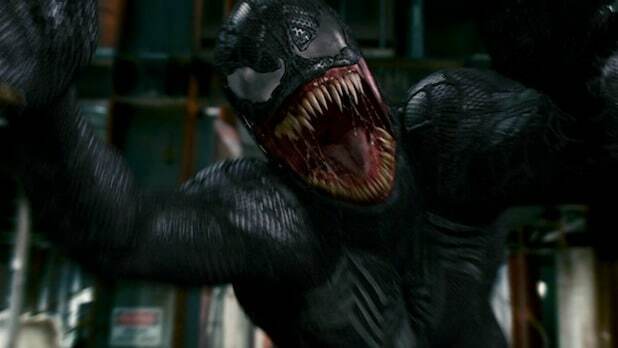 In “Venom,” Hardy plays investigative journalist Eddie Brock, who gains the ability to transform into a horrifying and violent sharp-fanged creature known as Venom, that uses his body as a host in order to survive. The film, directed by Ruben Fleischer, also stars Michelle Williams and Riz Ahmed and is expected to hit theaters Oct. 5. 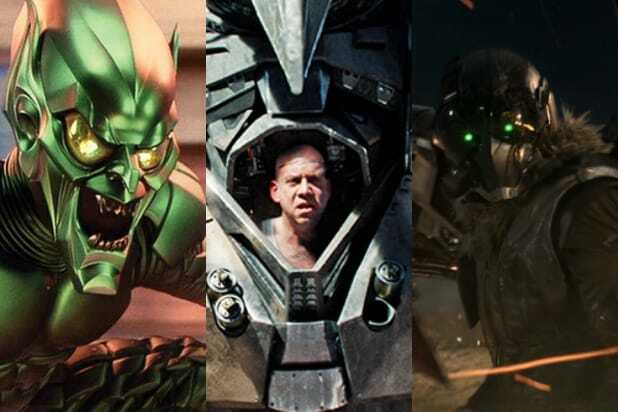 "Spider-Man: Homecoming" features some of the best Marvel movie villains in both the Spider-Man and MCU movies to date. Here is TheWrap's rankings from the worst to the best. Paul Giamatti's overdone silly accent + mech suit take on this classic bad guy is the worst Spider villain in what may be the worst "Spider-Man" film. Thanks, but Rhino thanks. Long before making his third "Spider-Man" film, Sam Raimi was on the record as not liking this character at all. Sony forced him to include Venom (played by Topher Grace) anyway, which might be why it turned out so bad. Jamie Foxx's forgettable portrayal of Max Dillon/Electro in "The Amazing Spider-Man 2" was equal parts terrible cgi, terrible performance, and all cheese. "The Amazing Spider-Man"'s Curt Connors/The Lizard was equal parts bad cgi, bad character design, and a bad take on one of Spidey's most iconic enemies. What a waste of Rhys Ifans. Thomas Haden Church was still hot off his "Sideways" career rejuvenation when he played Flint Marko/Sandman in "Spider-Man 3." He's pretty good... too bad the movie isn't. Michael Chernus played the first-ever movie version of The Tinkerer, seen in "Spider-Man: Homecoming" as one of the Vulture's inner circle. He's the guy who reverse-engineered alien tech and created the Vulture crew's gadgets. Perhaps one of the only saving graces from "The Amazing Spider-Man" duology is Dane Dehaan's Harry Osbourne, who had a much better arc than his predecessor. "Fargo" star Bokeem Woodbine's grounded portrayal of this "Spider-Man: Homecoming" is an MCU standout. James Franco's version of Harry Osborn appears in all three Sam Raimi-directed "Spider-Man" movies. He went from being Spidey's best bud to one of the bad guys. Willem Dafoe gives an great performance as Norman Osbourne/The Green Goblin in the first "Spider-Man," though the character gets an uneven and incomplete arc, keeping it out of the top 2. Michael Keaton's performance as Adrian Toomes/The Vulture is not only a fun meta-joke about his Oscar-nominated role in "Birdman," it also finally solved the Marvel Cinematic Universe's so-called villain problem. Alfred Molina portrayal of Otto Octavius in "Spider-Man 2" remains the gold standard by which all Marvel movie villains are judged by.